The Swedish Genealogy Convention 2014 will take place in Karlstad in Värmland this weekend (29-31 August 2014). 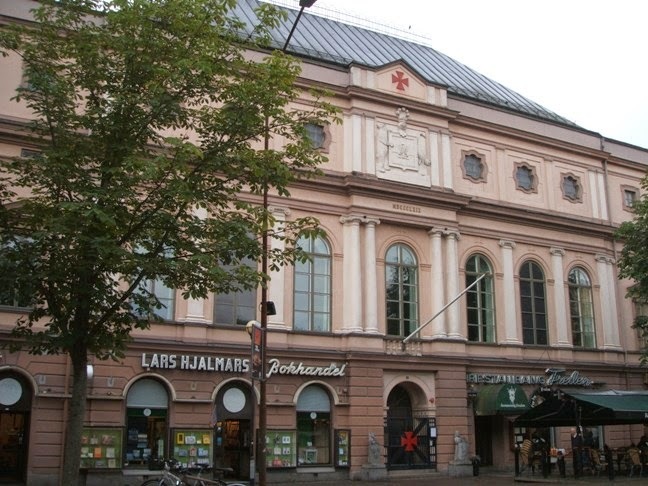 The convention will be located in the Karlstad CCC (Karlstad Congress Culture Center). Around 90 genealogical societies and various institutions and providers of search tools (such as the National Archives, Ancestry, FamilySearch etc.) will have exhibitions, and there will be numerous lectures. The theme for the Genealogy Convention this year is "Migration - past, present and future". I will be present at the convention as a representative of the Norwegian Genealogical Society (NSF), together with the chairman and his partner. Karlstad is a short drive from the Norwegian border, so we expect that many Norwegians will attend the convention as well. Besides the NSF also the other national genealogical society, The Genealogy Society of Norway-DIS, will be present, as well as Skogfinsk Genealogi (the Forest Finns Genealogical Society) and Solør Slektshistorielag (Solør Genealogical Society). I look forward to meeting other genealogists, establish new contacts and get new input! This will be the second time I visit Karlstad, but I doubt there will be much time for sightseeing, as I will be at the CCC most of the time. I hope to visit the city again soon in order to watch Karlstad's ice hockey team, Färjestad! The masonic lodge in Karlstad, where the negotiations for the dissolution of the union between Norway and Sweden took place in 1905. Not normally open to the public, though, and there will not be much time for sightseeing anyway.